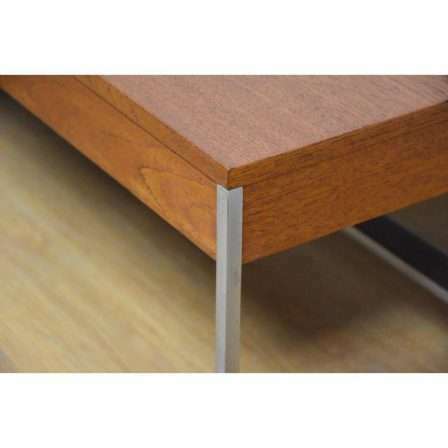 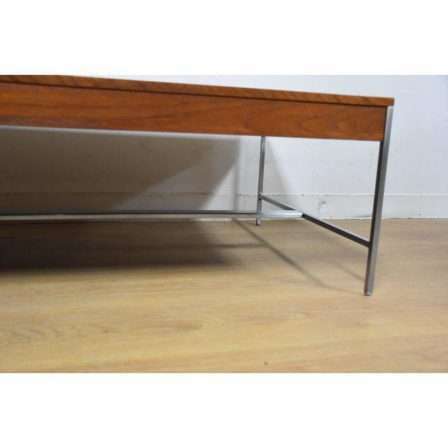 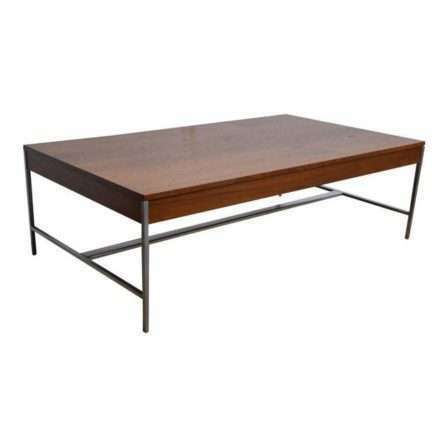 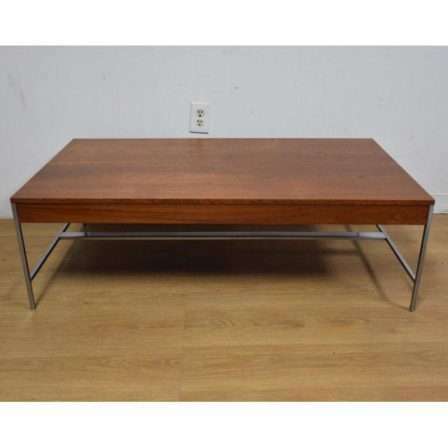 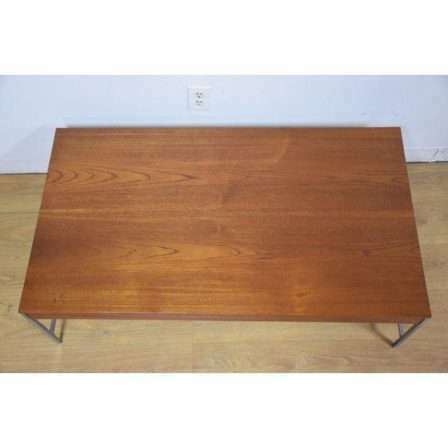 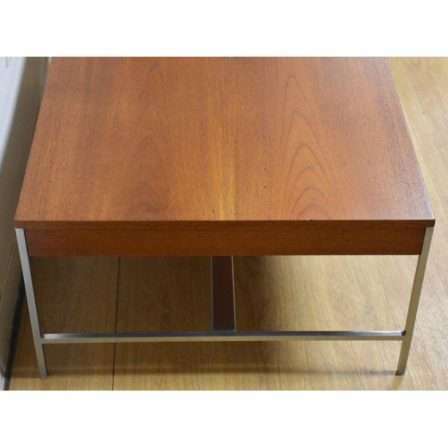 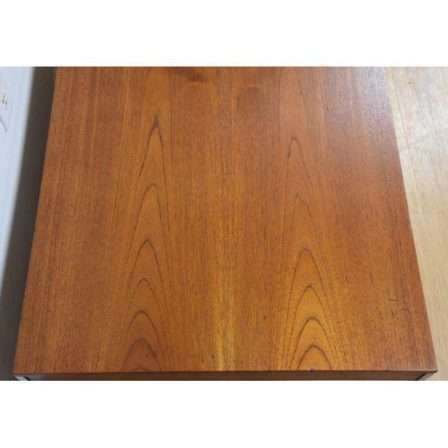 Description:A mid century modern walnut coffee table designed by George Nelson for Herman Miller. 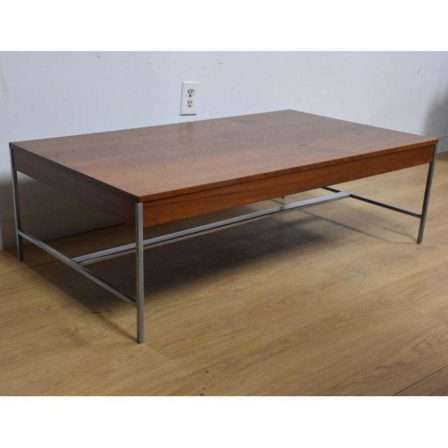 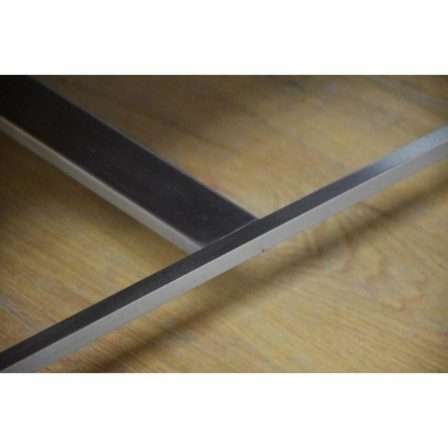 This coffee table has an aluminum colored steel base. 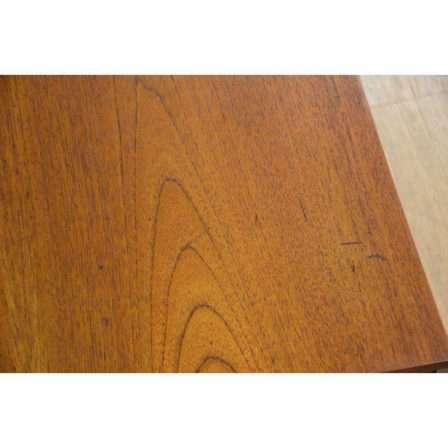 Minor wear consistent with age however in overall excellent condition!